in Pune, Gurgaon, Thane, Noida, Hyderabad, Mumbai?? Click the Bell Icon on the link in the post to get latest Jobs updates. At least 4 to 10 years of experience in Performance testing using Performance Center and LoadRunner. Experience in Major protocols like Web, Web services (SOAP and REST), Citrix, and Mobile Apps. Able to understand nonfunctional requirements and understand Performance Test strategy and plan. Should have knowledge of JMeter. Ability to develop automation frameworks Hands on designing framework Expert skills in Manual Testing Knowledge of Build tools Maven, Ant Good experience in Selenium tools. Selenium tools, Build tools Maven, JMeter Performance Testing, designing framework, develop automation frameworks. 6+ years of experience in automation or Development using core Java. 2+ Years of experience in manual testing and understanding of QA Process. Must have hands-on experience on Database Preferably SQL. He/she would be responsible for creating scripts for Functional test cases. Candidate should have thorough understanding of Java and have hands-on in Java coding. Candidate should have exposure to automation tool Selenium. Experience executing Test plans within an agile environment. L1 (Mandatory) As a Senior Test Engineer you should able to devise Test Strate. You should be able to ensure the availability test environment, design test and defect reporting formats and manage the team. You should update project related data as required in applicable systems and ensure timely reporting and response to stakeholders. Good experience in manual testing as well as UI/ Performance automation (Selenium/ Jmeter/ QTP/ VSTS/ Scripts). Hands-on manual testing for the web as well as client-server applications. Experience on QTP/ Selenium/ Jmeter/ VSTS/ perl/ Tcl scripting. Hands-on Unix/ Linux/ Ubuntu and Windows OS. Should also have good management skills, good knowledge of STLC and the related processes. Extensive experience in Embedded/ Networking / Automation / Telecom / Avionics Software Testing is a must. Must be aware of communication types (like GPRS, WIFI, BT etc.). We are looking for professionals with the below-mentioned skill expertise. Strong experience in manual testing of web applications. 1+ years of experience on automation using selenium. Good communication skills and experience working as a client facing independent contributor. Experience with relational databases like SQL Server. Manages and reports on test deliverables and test execution and manages the scheduling and prioritizing of daily tasks, manage and maintain lab hardware (SUT). Design and develop applications for delivering high-availability and performance. Write well designed, testable, efficient code and make sure designs are in compliance with specifications. 5 to 9 Years of overall experience in software development with B.E./ B.Tech/ M.C.A. degree in computer science or related subject. Competent in Core Java, J2EE JSP, Struts, SQL Queries, Database programming, OOP, Object Oriented analysis and design, relational database, SQL and ORM technologies (hibernate). Strong understanding of design patterns and Core Java concepts example: Multithreading. Hands on experience in Webservices – SOAP & Restful API. 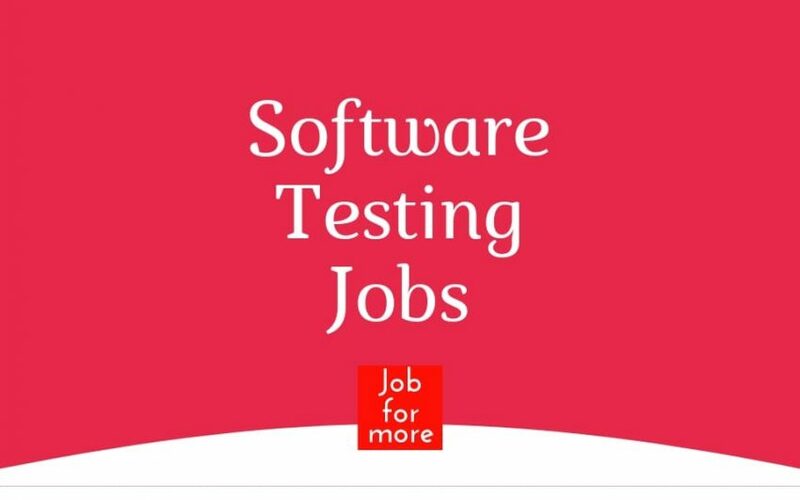 3-10 yrs experience in Java, J2EE and associated technologies (Spring Boot, Hibernate, Web Services). Should be able to build a solution which is easily configurable, deployable and secure in the SaaS environment. Must have worked spring boot. Ability to lead and mentor a team of 2-3 developers. 8-15 year Software Product Development Experience primarily in Java. Experience in building UI applications using MVC architecture. Product Development using Open Source Frameworks.